Grad schemes have much to recommend them and can be a great way to start your professional career. They’re just not the only way. Increasingly students and grads are starting to tap into the SME sector, finding exciting jobs and challenging projects in the process. Paul Griffin, Mechanical Engineer with consultancy DCA Design International, thought his career horizons were defined by the big graduate recruiters; seven years on he’s here to set the record straight…. I can only claim to have worked for two companies so far in my life, but it just so happens that one was a very large company, and one was a SME. I’d like to explain why working for a smaller company has worked out perfectly for me, and maybe challenge one or two assumptions you might have. Throughout university I always imagined I would join a graduate scheme at a large company. I don’t know if I was taken in by the idea of working for a household name, or blinded by the glare from the stacks of glossy brochures on their towering careers fair stands. But somehow I, along with many students on my course, felt sure by my second year that if I was ambitious for my career, I should be doing my utmost to end up working for Rolls-Royce, BP, Airbus or some other company you’ve definitely heard of. So I applied to six large companies for my year in industry, had a few offers and accepted a 12-month placement at a very large and well-known manufacturing company. Fast forward six or seven years to the present. I’m working as a mechanical engineer for DCA, a design consultancy based in central Warwick. We employ around 100 people, putting us right in the middle of SME territory. You may never have heard of us, but I honestly love working here. So having actually experienced both, what have I learned? Well DCA are one of Europe’s leading product design and development consultancies and work across a range of sectors. We employ a blend of mechanical engineers, industrial designers, electronics engineers, software engineers, ergonomists, strategists and modelmakers. Because we are a consultancy (other companies pay us to work on their products) there is a huge variety of work going on. One month I could be working on an interior for a train or aircraft and the next month on an insulin injector pen. Ok, some of this might not sound as challenging as working on a jet engine, car or aeroplane but in my experience the work can be just as complex, challenging and certainly exciting! …being part of a smaller company means you have to adapt to a variety of roles and tasks which, in a large company, would likely be carried out by separate departments. Want to work on one bit of one product for years at a time? Pick a large company. For example, I met people during my placement year that had spent several years working on a materials database. Want to be designing a product one week and building and testing the prototypes the next? That’s common at DCA. …there can be greater scope for real innovation at a SME. As an ambitious graduate entering a large company you’re unlikely to have much visibility beyond the task allocated to your department; if innovation is what gets you going, this may seriously limit your scope. 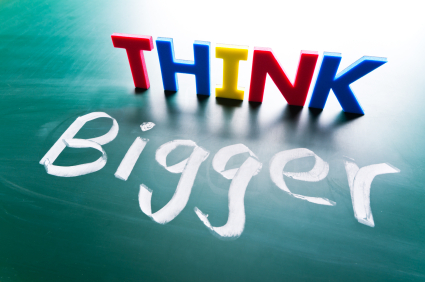 At a SME, being part of the whole product development means you can think bigger. Of course, there may be some downsides of working for a SME compared to a large company. For instance, there may not be a well-established graduate scheme to provide rotation around the business. Then again, at a SME you will likely gain a broader experience from a single job role. You might be concerned about making friends at an SME, with fewer people in your age group. Maybe DCA is exceptional in this respect, but a friendlier, more youthful company you could not wish to find. Perhaps I’ve been lucky to find a company that is not only a fantastic place to work, but fits my ambitions and personality as well as DCA. But just remember, next time you’re looking for a job; if you want to think big, don’t rule out starting somewhere small….or medium. Paul Griffin (MEng) is a Mechanical Engineer for DCA Design International. If this blog has encouraged you to consider SME opportunities, then come along to the Insight Fair on Thursday (24/10). DCA will be there! Tags: Engineering, SME. Bookmark the permalink.